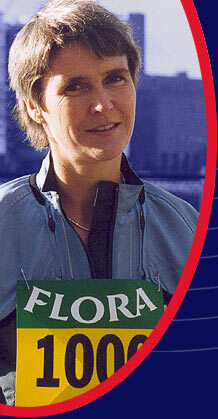 Guisborough stamina star Sharon Gayter's opponents in the Flora 1000 Miles Challenge have been reduced to four. Lloyd Scott, legendary for walking the London Marathon in a diving suit, has pulled out citing personal reasons. He is the first competitor to leave the gruelling event, having failed to complete 350 miles. Sharon remains upbeat, saying: "I'm still very determined, but it's good to know more than one third of the Challenge is done." The 39-year-old took advantage of the sunny weather to enjoy a footspa outside the team bus while having a sandwich for lunch. She has also been given some extra sponsorship money to buy more kit. Sharon welcomes messages of support from friends and colleagues.